Sandesara Group promoter Chetan Sandesara. Ahmedabad: Sandesara Group last week celebrated the production of one million barrels of Brent crude oil from its newly launched operations in Nigeria. Sandesara had a head start. It was the first Indian company to begin producing oil in the resource-rich West African nation, according to Mahesh Sachdev, Indian high commissioner to Nigeria. Commercial production began five months ago. In another development last week, Sandesara’s trading arm entered into a long-term agreement to sell crude to energy trader Vitol Group from its Nigerian Okwuibome production, estimated at 10,000 barrels a day and aimed to grow to 25,000 barrels a day by the end of 2012. Sandesara’s prolific run in Nigeria began at its headquarters in Vadodara, Gujarat a few years ago. Its promoters Nitin and Chetan Sandesara homed in on the Niger Delta when finalizing oil exploration plans in Organization of the Petroleum Exporting Countries (opec) countries. Sandesara Group promoter Nitin Sandesara. Nigeria, after regaining democracy in 1999, was opening up its fields to foreign players for exploring its rich oil reserves. It is the fifth largest crude oil exporter in the world and a member of the 12-nation Opec bloc. 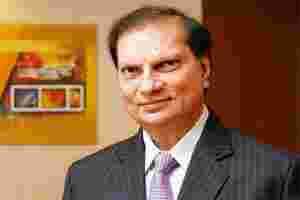 “When we decided to get into oil business in early 2001-2002, we wanted to make it big and not remain on the fringe," said Nitin Sandesara, the group’s chairman. “Nigeria has proven reserves of 37.5 billion barrels and estimates suggest that this is one-third of the actual reserves." The difference between an oil producing asset in India and Nigeria, he said, lies in the productivity. While one well in India can produce 30-100 barrels a day, a well in Nigeria can produce 1,500-3,500 barrels a day. India imports about 400,000 barrels of oil a day from the country. Bilateral trade between India and Nigeria was $13 billion in (around ₹ 65,000 crore) 2010-11, with Indian imports contributing $10.8 billion. In 2010, Indian companies invested $5 billion in Nigeria, most of it by Bharti Airtel Ltd.
Sandesara’s Nigerian arm Sterling Global Oil Resources Ltd in 2004-05 won a small area of 29 sq. km for exploration in Nigeria in a bidding. The company hired people from exploration giants Chevron, Exxon Mobil and Shell and built a team of 1,500 professionals. Sterling Global was later allowed to bid for more blocks. Sterling Global now has a licence to explore and produce crude oil from four onshore blocks with a total acreage of almost 2,000 sq. km, with Shell and Chevron for neighbours. The area under exploration has proven recoverable reserves of 250 million barrels and has prospects for one billion barrels. “Oil exploration and prospecting is a very risky business anywhere. In Nigeria, additional issues of security, local ambience and political issues often put some more challenges in way of a successful venture," said Sachdev. Sterling Global found a way around. It began its work in Nigeria, fraught with violence fuelled by competition for its vast oil wealth, by providing jobs, roads, schools, street-lights, healthcare facilities and water, among other things. “There are historical problems in Nigeria but from our experience those companies that work closely with the local community have nothing to worry," said Nitin Sandesara, the elder of the brothers. “It is very gratifying when Nigerian ministers and high-ranking officials mention that Sandesara Group’s exploration and production work can be regarded as a template for successful operation by a foreign oil company," Sachdev said. “Their low-key approach, professionalism, coupled with their extensive CSR (corporate social responsibility) activities for local communities in adjoining areas, have been instrumental in their success in Nigeria." Sandesara has invested $1.5 billion in Nigeria through internal accruals and funding from banks and financial institutions. It used a portion of the money on backward integration, setting up a drilling company, acquiring rigs, establishing a shipping company, developing a river terminal and setting up a float station to separate oil, gas and water. Nigerian oil fields produce 27 different types of so-called “sweet" brent crude, low in sulphur and sold to refineries in the US and the UK at a premium over Brent crude. “Sometimes it helps to be small," said Narendra Taneja, an energy expert and a special commentator of Upstream, a weekly based in Oslo that focuses on the oil and gas sector. “Companies like ONGC (Oil and Natural Gas Corp. Ltd), Lakshmi Mittal group and many other big Indian companies have tried in the past to tap Nigeria’s rich energy assets but are yet to achieve success. West Africa is the future of oil." About Sandesara, he said the group’s successful venture into Nigeria can help it get a bigger foothold and leverage in places like Congo. Nitin Sandesara, a chartered accountant, turned entrepreneur in the early eighties when he started Sterling Tea by acquiring tea gardens with his younger brother Chetan. The group has varied interests now. Its flagship company Sterling Biotech Ltd, listed on the Bombay Stock Exchange, is a producer of gelatin with a 6% share in the global market and a 60% share in India. The group has another publicly traded entity, Sterling International Enterprises Ltd, an oil services firm. Sterling Biotech has lost about 40% of its value this year on the exchange. That compares with the benchmark Sensex’s 20% drop. Sterling International has lost about 6%. Sandesara is also developing a port at Dahej, expected to begin operations in 2013, and a multi-product special economic zone near Vadodara. For now, Sandesara’s focus is on oil exploration. It wants to invest another $1 billion in this in the next couple of years to ramp up production to 100,000 barrels a day by 2015-2016. Three months ago, Sterling Global received offers from the Chinese government for its Nigerian assets. “We are not for sale," said Chetan Sandesara, director of Sandesara Group. “In fact, we are expanding. We are exploring opportunities in other oil-rich countries to get license for exploration and production."